On Saturday I was invited to St Arnaud (about 100km from Blenheim) to do my wild food cooking demonstration, Nuisance to Nutritious. I’ve done a couple of these now, and they are always great fun, showing people how easy wild game is to cook and letting them taste some dishes. I had premade my Mrs McGregor’s Pie, Wild Pork Goulash and Goat Curry; I demonstrated Wild Pork and Venison Meatballs. This is the picture of me that was in the local paper at the time, the Marlborough Express. 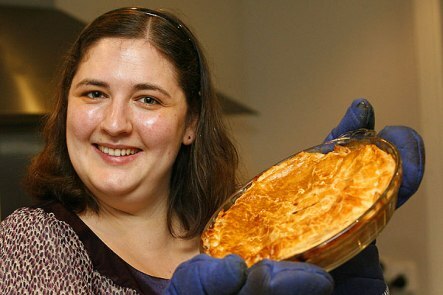 That pie looks so good, congrats!